The old ligament is removed using a shaver or other instruments. Bone tunnels are made to place the new ligament (patellar graft) in the knee at the site of the old ACL. 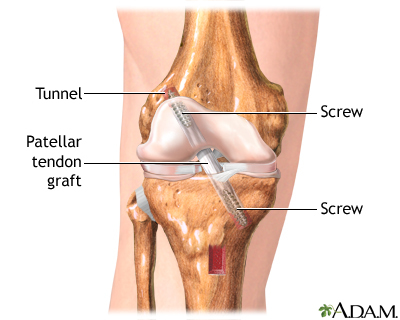 Screws are commonly used to secure the graft in the bone tunnels, although other methods of fixation are used depending on the type of graft used.